It's certainly not perfect but the Fitbit Flex's simple design strikes a nice balance between looks and functionality and serves as a good motivational tool to keep active. Wearable tech is becoming increasingly popular and one of the main players in the market is Fitbit. 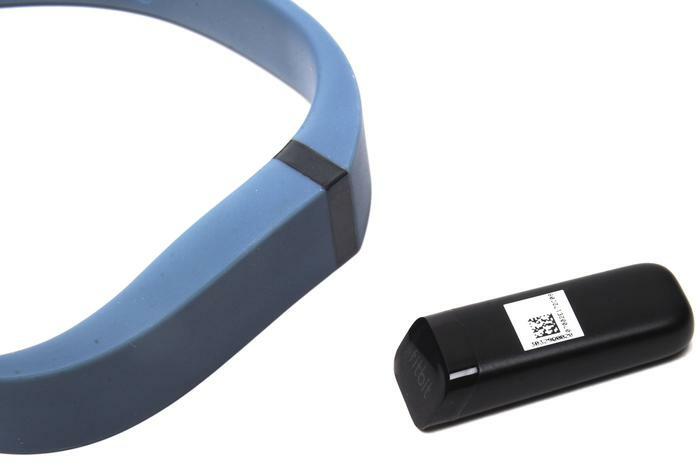 The company's range of wireless activity trackers have all utilised a similar form factor but its latest effort is the Flex, an activity and sleep tracking wristband. It's certainly not perfect but the Flex's simple design strikes a nice balance between looks and functionality and serves as a good motivational tool to keep active. The translucent plastic strip makes it look like something out of an 80s sci-fi movie. 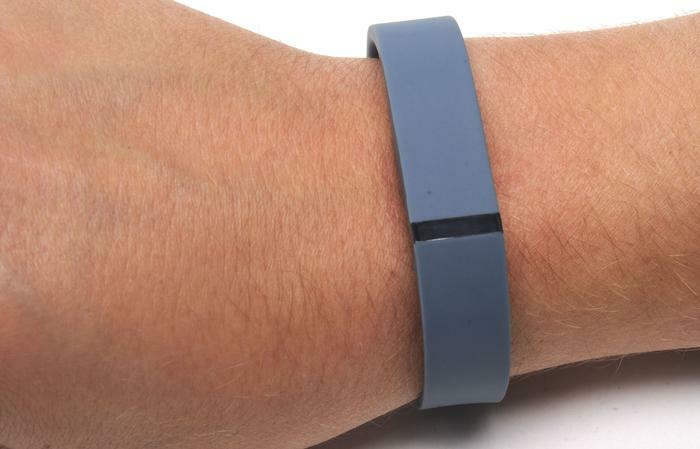 The Fitbit Flex is the first activity tracker the company has produced without a screen. It's also one of the most basic looking devices we've come across. It's thin, light and rather inconspicuous when worn, though the translucent plastic strip that displays the five built-in LEDs makes it look like something out of an 80s sci-fi movie. The Flex's band is made almost entirely from flexible rubber. It has two small clips on one end which snap into two of nine marked holes on the other. Attaching the band to your wrist actually requires far more force than expected. It's a fiddly and uncomfortable process, though the advantage is that the band securely stays on your wrist and shouldn't accidentally come undone. We managed to play a game of football (soccer) without it coming off, so it's definitely secure. The Fitbit Flex is one of the most basic looking devices we've come across. The Flex is not as attractive as the Jawbone Up. Some users may even consider the look and feel rather cheap for a device that costs over $100, but we quickly grew fond of its understated looks. It doesn't stand out and is barely noticeable when worn, which is what many people will look for in a device of this kind. During most of our week long test period, we didn't even notice the Flex on our wrist. Removing the tracker from the wristband quickly becomes an annoyance. The Fitbit Flex actually consists of two components. The rubber wristband is simply a holder for the brains of the device, a small, rectangular case that slips inside a cut-out on bracelet. It's a tiny thing and Fitbit certainly deserves credit for managing to cram all the necessary components into such a small piece of plastic. This two-part design has both advantages and disadvantages. On a positive note, it means the rubber bracelets are interchangeable. If you get sick of one colour or you happen to lose the wristband you can easily purchase another. An accessory pack which includes three coloured bands (tangerine, navy and teal) will sell for $39.95 in Australia, which is a little expensive for what is essentially three rubber bracelets. The Fitbit Flex consists of two components. The rubber wristband is a holder for the brains of the device. 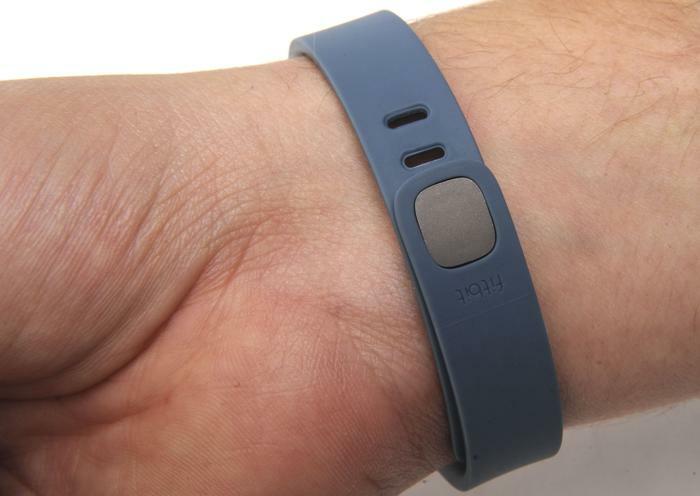 Annoyingly, you need to remove the Flex tracker from the wristband every time you charge it. Annoyingly, you need to remove the Flex tracker from the wristband every time you charge the unit which does become a chore. Fitbit claims the battery should last between five and seven days on average and we found that figure was on the mark. In most instances, the Flex lasted for five or six days before requiring a recharge. To charge the Flex you'll need to slide the tracker into the supplied, proprietary USB cradle. It takes about three hours to fully charge the device. The Fitbit Flex is water resistant so you can wear it in the shower without any issues. The company says the Flex isn't rated for metres yet, so it's been designed for everyday water situations rather than a lengthy swimming session. We used it in the shower and wore it in the rain and it didn't miss a beat. The Fitbit Flex is quite simple to use. It has five built-in LEDs that light up gradually as you get closer to your daily goal, for example the default 10,000 steps in a day. You simply tap the Flex twice to display the LEDs, which are lit in 20 per cent increments. If you've completed 8,000 steps of your 10,000 goal then four LEDs will light up. When you hit your daily step goal, the Flex with flash its lights erratically and vibrate for a couple of seconds. It's a rewarding feeling. The Fitbit Flex is water resistant so you can wear it in the shower without any issues. 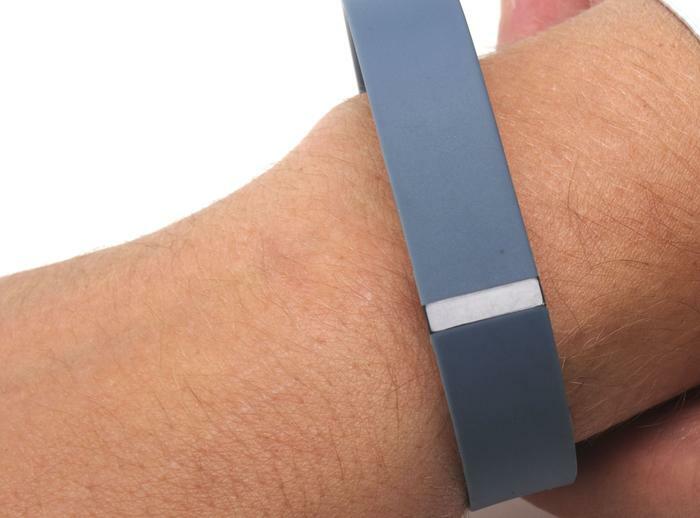 The Fitbit Flex lacks an altitude sensor, so it can't track stairs climbed. Instead of steps, the Fitbit Flex's LEDs can display distance, calories or very active minutes but only one of these at any time. To change this setting, you'll need to set it in the "device settings" category on the Fitbit website. The Fitbit Flex lacks an altitude sensor, so it can't track stairs or escalators climbed like the Fitbit One and Fitbit Ultra can. It's not a huge loss, but those who find this feature appealing will be left disappointed. One of the biggest advantages of the Fitbit Flex compared to competing products is that it wirelessly syncs data to selected Apple iPhone, iPad and iPod devices and selected Android phones with Bluetooth 4.0 capabilities. The Samsung Galaxy S III and the Samsung Galaxy Note II are the first two Android devices to be compatible with wireless sync, though Fitbit says more devices will follow. We tested the Flex with a Samsung Galaxy S4 but the wireless sync did not work. We expect this to be updated in the near future. Attaching the band to your wrist is a fiddly and uncomfortable process. For users without a compatible phone, the Flex comes with a USB dongle to wirelessly sync with a computer. Simply plug it into a spare USB port on your PC or Mac and the Flex will automatically sync whenever its in range. It works as advertised, though the dongle is tiny and therefore easily lost or misplaced if you aren't careful. It is possible to cheat the system by shaking your wrist. Once you've synced your data, the Fitbit service calculates and displays your daily activity breakdown, showing how long you've been sedentary, lightly active, fairly active or very active. Checking your results and setting new goals quickly becomes an addiction, helped along by a simple and straightforward user interface on both the app and the Website. A new tile-based interface on the web allows users to choose what information is displayed in the dashboard and the overall look is much cleaner than the previous layout. We found the Flex's step tracking feature reasonably accurate overall, though it is possible to cheat the system by shaking your wrist and adding a few hundred steps to your count. The Flex is also a little more generous than both the One and the Ultra in general, regularly counting over 500 steps more per day than these devices. Since you won't be using them simultaneously, however, we don't think it's a deal breaker. The Fitbit service calculates and displays your daily activity breakdown. In addition to its step and calorie counting features, the Fitbit Flex allows you to log your food intake and any physical activities you do, such as running or playing sport. Both the food log and the activity log are good ideas in theory but require a great deal of manual input to get the most out of. Most of the foods in the Fitbit database are American brands. You can add your own food entries but it's not really worth the time or effort. The vibrating alarm is forceful enough to prevent you from sleeping through it. The Fitbit Flex can also track your sleep. You need to manually activate this feature by repeatedly tapping on the device until it vibrates and displays two LEDs. It claims to track the duration and quality of your sleep and also how many times you moved or woke up during the night but we found it hit and miss. It regularly showed our sleep efficiency score over 90 per cent, even when we had a restless night. On one occasion it incorrectly stated that we woke up 23 times during the night. Of more use is a silent wake alarm that vibrates to wake you at a desired time. It works as described and the vibration is forceful enough to prevent you from sleeping through it. Annoyingly, you can only set an alarm through the Fitbit.com Web site by accessing the device settings page, though you can set repeat alarms for certain days of the week. We would have appreciated the ability to set alarms through the Fitbit iOS and Android apps. The new tile-based dashboard on the Fitbit.com website. The Fitbit Flex is available in Australia from Harvey Norman and Apple Stores nationwide and at Fitbit.com from June. It retails for $119.95.